Liverpool were yesterday linked with Ousmane Dembele and it’s claimed in the Daily Mail that Jurgen Klopp will speak with the young Frenchman’s mother in an attempt to persuade her son to join. The 21-year-old struggled to make an impact at Barcelona, with Lionel Messi and Luis Suarez ahead of him in the pecking order. There’s an £88m price-tag on his head, however, but based on his talent alone, that’s a small price to pay. 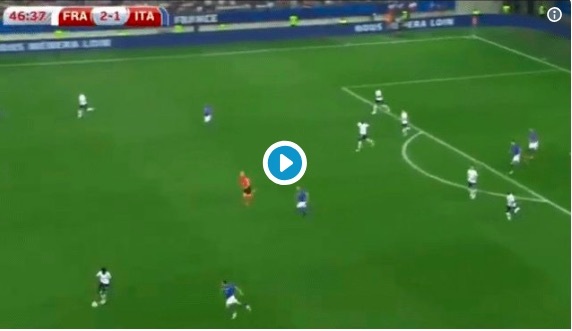 Last night, Dembele tore Italy apart in a friendly – scoring a great goal and going on a ridiculous run that left two defenders on a pile on the floor. Liverpool fans took to Twitter and lauded the youngster – speculating what he could do in Klopp’s attack! Check out his clips from last night, too. Magic. "Liverpool should go all out on a keeper"